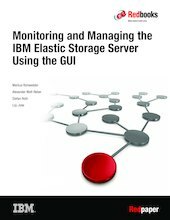 The Elastic Storage Server (ESS) GUI provides an easy way to configure and monitor various features that are available with the ESS system. The ESS GUI is a web application that runs on web browsers such as Chrome, Firefox, and Edge. It uses Java Script and Ajax technologies to enable smooth and desktop-like interfacing. Therefore, no client-side installation is required to use the GUI. This document provides detailed information about the ESS GUI features. This edition applies to ESS version 5.2.